Though there is talk of a Machado trade on the horizon, the now four-time All Star has been able to dial it to 11 this season and is on the verge of having the best statistical year of his six-season career in the majors. 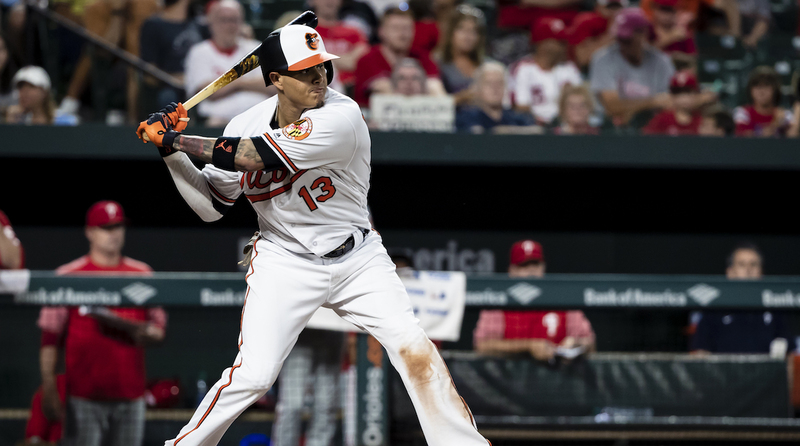 Before the Orioles played the Washington Nationals in June, I spoke with Machado about growing up in Miami and becoming the player he is today. Who do you look up to most on the field? And off the field? I’m a big fan of LeBron [James], Kobe [Bryant], and [Lionel] Messi. I just like the way they go about their business. Kobe was always a leader on and off the court and always wanted to be the best. LeBron is the same way, and I like that he helps out the community, doing stuff for kids. Messi is always taking care of his family, and when he’s on that field, he’s just trying to be the best player he can be and win championships for his team. So it’s different aspects of the different players that I look up to. 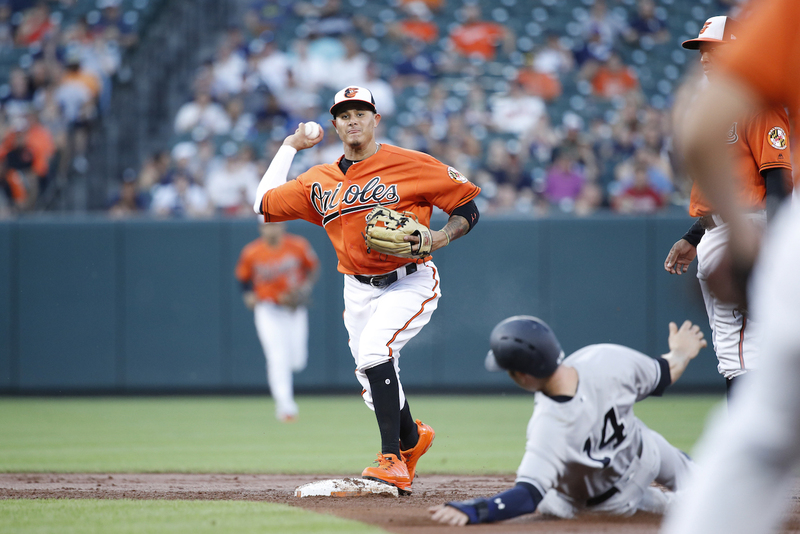 Shortstop in Baltimore has been played by the likes of Cal Ripken Jr. Have you ever spoken to him about playing the position? In 2012, I went to the Futures Game, and I had to do an interview with Cal before [the game] at a fan fest. That was the first time I had ever met him. One of the first questions I asked him—I was playing shortstop at the time—was, “I’m a tall guy who plays shortstop; you’re a tall guy too. How did you play shortstop for so many years and improve your range, among [other things]?” He said, “It’s always tough for us tall guys to bend down and have as much range, so if you play a little further back and trust your arm a little more, it will help you increase your range on both sides.” Ever since he gave me that advice, I’ve always taken it up and always tried to stick to those guns. You have discussed how your uncle and grandfather were important parts of your life. How did they help you not only become a better player, but also a better person? Those are my role models; my uncle taught me how to play baseball, and my grandpa was always giving me support, always giving me the love, too. You’re always trying to be like them; you take that advice and try to be the best person you can—just make them happy. My grandpa looks at me from above, and my uncle always looks up to me when he watches the game and cries almost all of the time. Those are the things I look forward to [when playing]. Keep working. Dreams are always possible, they could always come true, but what people don’t say is what it takes for those dreams to come true. What it takes is to never stop working. If you want to be something, whether it’s a baseball player, a writer, or an astronaut, you need to work at it, to grow above and beyond and try to work as hard as you can to be successful and to make that dream come true. There are people out there working harder than you, so what drives me is that [I say to myself], “I’m going to try to outwork you. I’m going to get there earlier than you, I’m going to try to be better than you.” If you accomplish those things, then anything is possible. What do you miss most about living in Miami? Where do you go when you visit? I still live in Miami in the offseason; that’s home for me. As soon as I get home every offseason I go straight to Havana Harry’s, which is this Cuban restaurant, to eat dinner. As soon as I land I go to La Carreta to pick up some pastelillos, guayaba, and croquetas. Those are my go-to places as soon as I land in Miami; those are places I must visit even before I step foot in my house. Who was your favorite baseball player as a kid? I always admired Derek Jeter, Ken Griffey Jr., Alex Rodriguez; everyone admired those guys. I became a big Jeter fan because of his work ethic and how he went about his business. He wasn’t always the greatest, but he always worked to be the best. Looking back at when I was a kid, [watching him play] is what turned me into the player I am today. Tell me about your annual charity bowling tournament, BaseBOWL. What have been some success stories from your charity? It started with maybe 40 kids, and we are up to over 300 kids joining, getting out of the streets, and admiring the game. I’m never going to push someone to play baseball, but as long as they are out there doing something that they like, it could lead to a lot more, and that’s the main goal for my wife and me. We want kids to get out there and be active and not be in the house playing video games. I know how the world is turning now with kids on their iPhones and playing Fortnite; there’s nothing wrong with playing it, we play it as adults, but [we want kids] to just be out there and be active. Go out there and play a game. Which of your teammates is the best bowler, and who is the worst? Dylan Bundy is by far one of the best; [first base coach] Wayne Kirby is up there also. I don’t want to throw anyone under the bus, but I’m gonna say [Jonathan] Schoop [is the worst] because he’s my buddy and he thinks that he can do just about anything…He can’t bowl, though. What road stadium do you like the best, and who has the best fans? Yankee Stadium is really nice, but as a playing surface, I really like SafeCo Field up in Seattle. None of the fans like us when we go on the road, but we do draw a pretty big crowd, and it makes it a lot easier when our fans go out and support us. I put on everything on the right first—right shoe, right sock, anything that has to do with the right I put on first. I also like to listen to music, especially Migos, Drake, and Lil Wayne. Why do you wear the number 13? Does it have any meaning? I like the number three. I always used three growing up, and three wasn’t available [when I went to the Orioles]; Ryan Flaherty had it. Thirteen was the next one up, so I decided to go with one-three because it had a three in it. How have you maintained your consistency as a player? Working every day. You find a routine and you stick with it, but you can’t stop working. I go in and do my weight-room stuff, go outside and run, do my cage routine every day and try to skip none of that. If I don’t do it that day, then I won’t have a good day on the field. I take a month off once the season is over and I get back [to Miami]. I eat, get fat, hang out with my wife and family. But once that month is over, I start working out; I start lifting in November and start hitting off a tee around Christmas. Other than yourself, who would you consider the best hitter in baseball? I would say José Altuve because he controls the bat really well, and he hits for power and average. He can bunt, and I’m a big believer that if you can knock down bunts, then you’ll be a great hitter. What are your career goals as a baseball player? Definitely be a Hall of Famer one day, but in the right way. Not just putting up numbers, but handling myself the right way on the diamond so people can respect [me]. I think you gain more from that than just putting up numbers. We have the talent to produce, some more than others, but at the end of the day I like to be respected by the players on my teams and the other teams as well.